Sustainability Making Business Smarter, More Competitive and More Profitable. 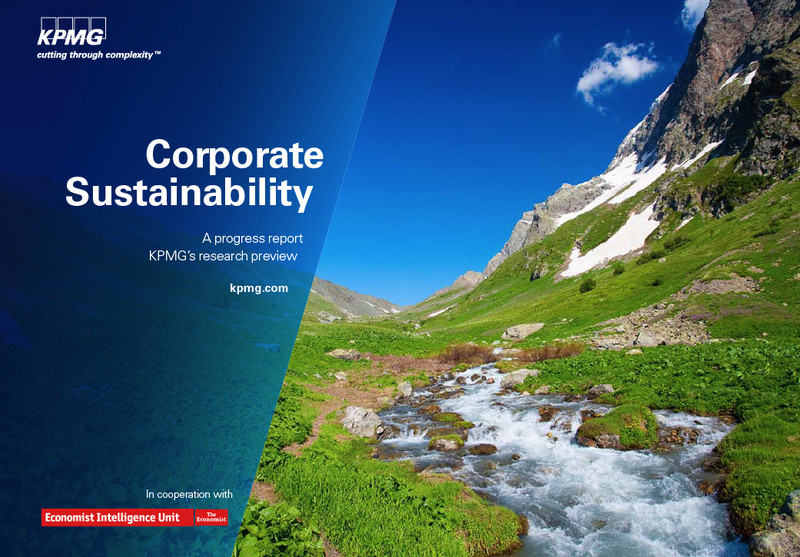 A new report commissioned by KPMG and The Economist Intelligence Group shows that global corporate business executives are seeing positive—and potentially surprising – business benefits from their sustainability initiatives. More than half of those surveyed represented C-Suite executives. This week’s report is a preview of a major research paper coming from KPMG early next year. 62% of company’s now claim to have a strategy for sustainability, up from just over half in early 2008. 44% of business executives believe that sustainability is and will continue to be a source of innovation. 39% of executives see sustainability as a source of revenue growth. 41% see sustainability as a driver for brand enhancement. Some of the other benefits cited by executives from sustainability initiatives include happier employees, better relationships with clients and suppliers, cost reduction, access to new markets, new product and service offerings and improved investor awareness. But once again there is a gap between reality and perception, with many companies still not effectively communicating sustainability progress to investors and other stakeholders. It is time for business to back up their actions with transparent and authentic communication to translate their efforts into positive external perceptions and brand reputation enhancement. The communication challenge is to be real, believable, trusted and for the messages to be served up in digestible, understandable and emotionally inspiring ways. And that friends, is the essence of great branding and the huge opportunity: creating responsible brands that prosper in the new age of sustainability.